Almost two years to the day I reported on a special investigation into the big banks and their links to the corporate world. It wasn’t surprising to find JPMorgan, at the time, linked to big names such as the aeronautical and defense contractors General Dynamics, or direct descendants – the Crown family – to the Warren Investigation of JFK’s assassination; through to their love of GMOs. During the investigation, revelations of France’s BNP Paribas linked them to Monsanto; and Barclays’ Absa Group, was a financial stronghold over South African nations. Then there was ICBC and the CCB – two of the largest banks in China, but with strategic investors such as Goldman Sachs and American Express…the list wasn’t exhaustive. Revisiting the investigation, I don’t need to tell any reader here that the climate hasn’t changed – in fact, it has grown. Below is an overview of the latest findings on some of the Big Banks. In a 13 billion dollar agreement, JPMorgan forked out cash to the authorities for consumer relief in 2013, for their part in the Global Financial Crisis. But it didn’t stem the bank’s misdeeds. Its total assets today stand at a whopping $2.35 trillion USD – as though the GFC never happened. On the plus side for climate change, James Dimon’s JPMorgan forfeited any future deals to fund coal mining in first world countries. Their shady history includes a plethora of fines, including those for sanctions violations with Sudan, Iran and the former Liberian government that oversaw weapons of mass destruction; and the Global Terrorism Sanctions Regulations ("GTSR"), 31 C.F.R. part 594. There was a settlement paid, but no jail time for those responsible – and the banks are always bailed out. 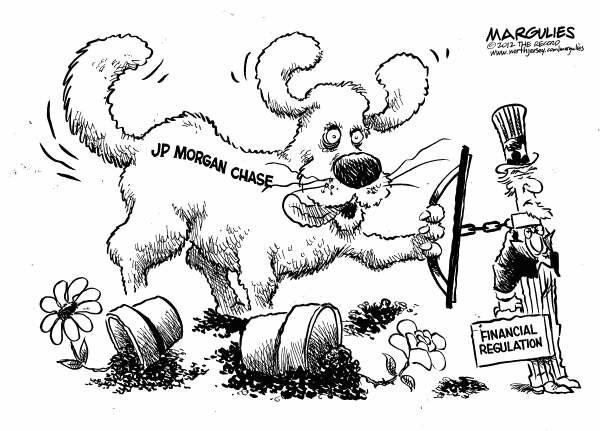 Subsidiaries of JPMorgan, also received a mass bailout totalling 2.63 billion USD on top of the 25 billion they received for the bank itself. Other extracurricular activities included the funding of the DAPL; and JPMorgan’s director, James Crown’s General Dynamics’ military might in Syria. It isn’t unexpected that JPMorgan’s recommendations to buy stock in defense stock - Northrop Grumman, B/E Aerospace and General Dynamics - occurred just before the height of the Syrian conflict. 2017 is not going to be a year the Deutsche Bank will fondly remember. Somehow, the US believes they can rightfully fine the bank $14bn for mis-selling mortgage-backed bonds, while only fining General Motors $900 million for killing 174 people with their faulty product. Needless to say, the 147-year-old Deutsche Bank’s future is on shaky grounds. Could it be that Deutsche Bank’s stronghold in the Middle East and North Africa has something to do with the US wanting it to collapse? Maybe it was to do with the business the bank conducted with Iran, Syria and Libya just like their aforementioned counterparts, JPMorgan, but had to pay $257 million in fines. Maybe it was their dealings with Russia while sanctions continue against the giant nation? It’s difficult to sympathise with the bank, but it makes you wonder about the greenback controlling the international economy on the shoulders of Saudi oil and the petrodollar. A year or so after my initial investigation, four of the five Chinese ‘big banks’ were ranked as the world’s largest banks. The ICBC and CCB were amongst them. The CCB once had links to the Bank of America, until it sold its last interests to the CCB in 2014. Since becoming its own entity, the CCB has played close to home, according to various reports, focusing on domestic economic growth. Since 2013, however, they’ve halted all financial support to North Korea. This isn’t to say that the state-run ICBC can plead the same. ICBC, the world’s largest bank in assets and by market capitalization holds a sister bank in Turkey – ICBC Turkey – after taking over Turkey’s Tekstilbank; currently holding 92.817% of the shares as of Aug. 21, 2015. ICBC also purchased 277 HSBC branches in Turkey, pouring cash into Erdogan’s economy. 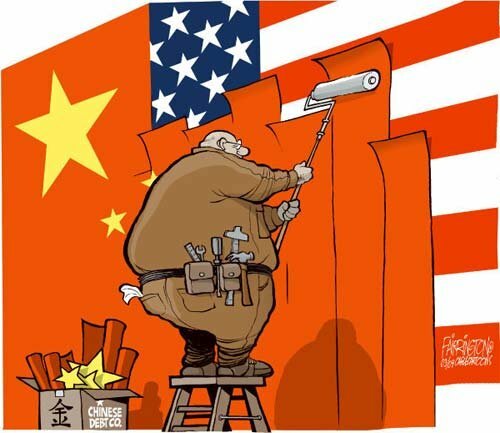 This mid 2015 takeover will fortify China’s position to establish an “economic belt” linking the giant nation to Europe, Central Asia, Russia and now the Middle East, essentially thumbing its nose at the US, rather than once bowing down to them. Brexit no doubt played a dramatic role in Barclays’ position in the global financial world, but so did their role of violating US sanctions on Zimbabwe by processing prohibited transactions through Barclay’s Bank of Zimbabwe. Barclay’s chairman, Mike Rate was also forced to step down in 2012, over the interest-rate rigging scandal that occurred between banks for rates they lend to each other. But in recent news, last month saw Barclays fall victim to the US Justice Department, just as Deutsche Bank has, with a massive suit for their part in the 2008 GFC. The irony is, these DOJ fines from the US threaten to collapse hundred-year-old institutions, with governments left with no choice but to watch them collapse or bail them out. Merkel has stated she won’t bail out Deutsche Bank; Barclays’ result is too early to tell. Credit Suisse and the Royal Bank of Scotland are also in the same leaky boat. Italy’s massive bank bailout of the world’s oldest bank, Monte dei Paschi di Siena (BMPS), will move into the unchartered territory of European finance soon, with results not likely known until March 2017, but moving into the billions upon billions. The irony again is the US banks are still standing for all the grief they caused; they now demand that the rest of the world pays for their sins. Yes, every bank had its part to play, but the world knows of the US’ unprecedented financial actions. 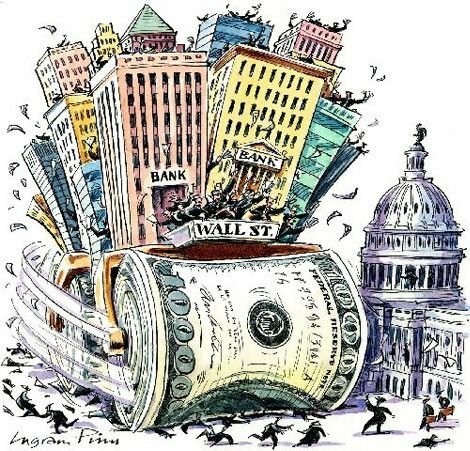 The irony is that the US banks have their fingers in all pies – military, war, the Federal Reserve and Congress. They fund who they want to fund and they sanction and fine who they please. When will the US banks truly be held accountable, not only for the GFC, but for all the other misery and death they have caused? 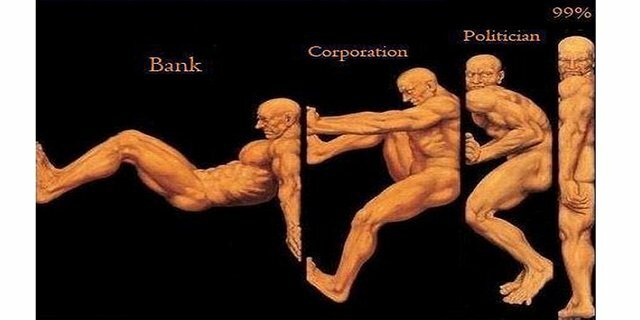 Who could see it coming that banks are evil!